According to the latest, annual Economic Freedom of the World (EFW) report, SA’s economic freedom ranking has declined dramatically from 46th position in 2000 to 110th this year. In contrast, SA’s neighbour, Mauritius is now ranked 8th overall, climbing up from 26th position in 2000. If SA had followed the path of Mauritius and increased its levels of economic freedom, South Africans would be healthier, wealthier and happier today. 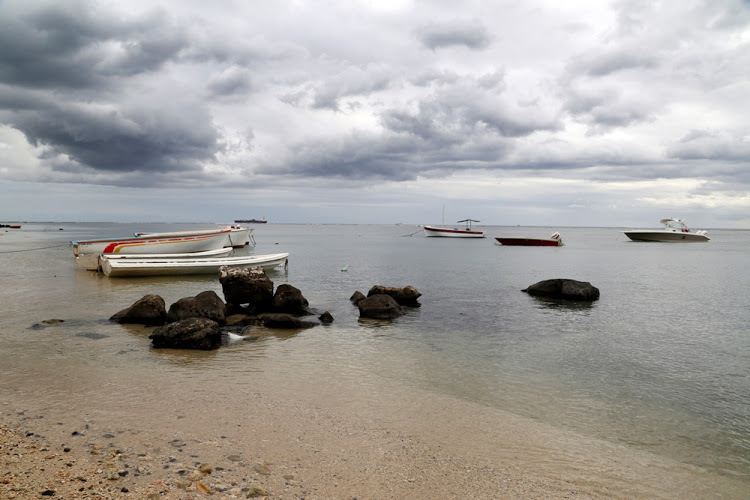 When British economist James Meade visited Mauritius in 1960, he concluded that Mauritius faced an unpromising future. He was later awarded a Nobel Prize in economics — and, the small island nation of Mauritius went on to demonstrate to the world that gloomy economic predictions are not necessarily a true reflection of future events, especially when made about a sensible people imbued with an entrepreneurial spirit. Mauritius underwent a remarkable economic transformation from a low-income, agriculturally based economy to a diversified, upper-middle-income country that attracts considerable foreign investment. More specifically, Mauritius embraced economic freedom and liberalised its economy, recognising that this as the best route to future prosperity. One of the key objectives in compiling the EFW index is to establish whether relationships exist between economic freedom and economic growth and wealth. The findings in the report unambiguously support the fact that economic freedom is strongly related to prosperity and growth: countries that are economically free tend to grow faster and be more prosperous. Nations in the top quartile of economic freedom had an average GDP per capita of $40,376, compared to $5,649 for the bottom quartile nations. In the top quartile, the average income of the poorest 10% was $10,660, compared to $1,345 in the bottom. Interestingly, the average income of the poorest 10% in the most economically free nations is almost twice the average per capita income in the least free nations. This shows that economic freedom benefits everyone, both the poor and rich get richer. People living in the freest countries can also expect to live much longer lives where average life expectancy is 79.5 years compared to 64.4 years in the bottom quartile. Several other outcomes are more positive in economically free nations than in those that lack economic freedom. For example, political and civil liberties are considerably higher in economically free nations than in unfree ones. Gender equality is greater in economically free nations. And happiness levels are higher in economically free nations. In 1990, Mauritius had an average GDP per capita of $7,387 and an average life expectancy of 69.4 years. In contrast, SA had an average GDP per capita of $9,696 and an average life expectancy of 62.1 years. Starting in the 1990s, to avoid economic decline, Mauritius underwent substantial changes that required swift government policy changes and rapid adaptations by its business community. The way the challenges were met demonstrated the resilience of the Mauritian people and provided a unique insight into the factors that led some commentators to describe the performance of the country’s economy over the recent past as the “Mauritian miracle”. By 2017, Mauritius had a real average GDP per capita of $20,293 (representing an increase of 175%) and average life expectancy was five years longer (74.4 years). In SA, real per capita income increased by 27% to $12,295 and average life expectancy increased by a meagre 0.7 years to 62.8 years. The South African government must recognise that it has it directly within its power to reform the South African economy and to adopt policies that will increase growth and reduce poverty. While the rest of the world is moving towards increased economic freedom and civil liberties, SA’s trajectory is sending the country in the opposite direction. This is reflected in the dramatic decline in economic growth and in persistently high rates of unemployment with almost 10-million people unemployed and without any hope of finding a job — and with no idea why. SA lacks basic institutions of economic freedom that include its fundamental foundations: personal choice, voluntary exchange, freedom to compete, and security of privately owned property. Without increases in these central freedoms, it is difficult to envisage how SA will be able to grow and become more prosperous. • Urbach is an economist and a director at the Free Market Foundation, where he also heads the health policy unit.